Teenagers are notoriously risky beings. They also have not driven long enough to understand all the dangers of the road. Nighttime operation of a motor vehicle is especially dangerous for a teenager, because they are also not used to how the lanes, cars, and scenery drastically change at nightfall. Different aspects of operating a motor vehicle come into play in the evening and teens may not adjust to become safe drivers. A victim of a car accident where a teenager was at fault may believe that they have no recourse to sue an individual who is a minor and has no assets. 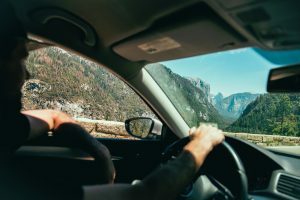 The law allows a victim, however, to sue the parent if the parent had reason to know that the teen could be potentially an unsafe driver in the road conditions into which the car was entrusted. If you have been injured by a teenage driver, and you were not at fault, call the Law Offices of Jeffrey S. Glassman today at (617) 367-2900 for a consultation.